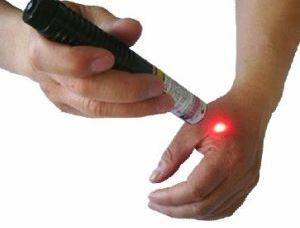 In the last blog,the purpose of low level laser as decreasing pain or inflammation, promoting healing of wounds, tissues, and nerves, and preventing tissue damage was discussed. In hand therapy, physical and occupational therapists use evidence-based treatments to assist with addressing symptoms that impact functional use of the hands and upper extremities. 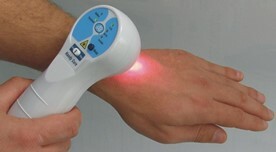 Low level laser therapy is a form of alternative medicine that uses laser light at low levels or near-infrared light. The light is applied to the surface skin of the body with the intentions of decreasing pain or inflammation, promoting healing of wounds, tissues, and nerves, or for preventing tissue damage. This is much different than the high level lasers that we know for surgical procedures to cut and destroy unhealthy tissue.